Preheat a grill pan over medium-high flame. In a medium mixing bowl mix the radicchio, salt, pepper and extra virgin olive oil. 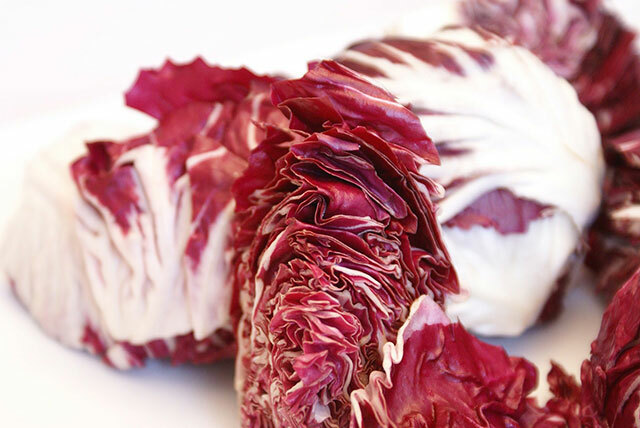 If the stem of the radicchio is still hard after it is removed from the grill, the cooking process can be finished in a 350 degree oven in about 5 minutes. Once cooking is complete, place the radicchio while it’s hot into a medium mixing bowl with the balsamic vinegar and chili flakes.